Oh how quickly time has flown by! When I initially wrote this I thought Eid was on Sunday,...but in North America I think it is supposed to be October 4th? Shows how much I know! Regardless...it is coming up! 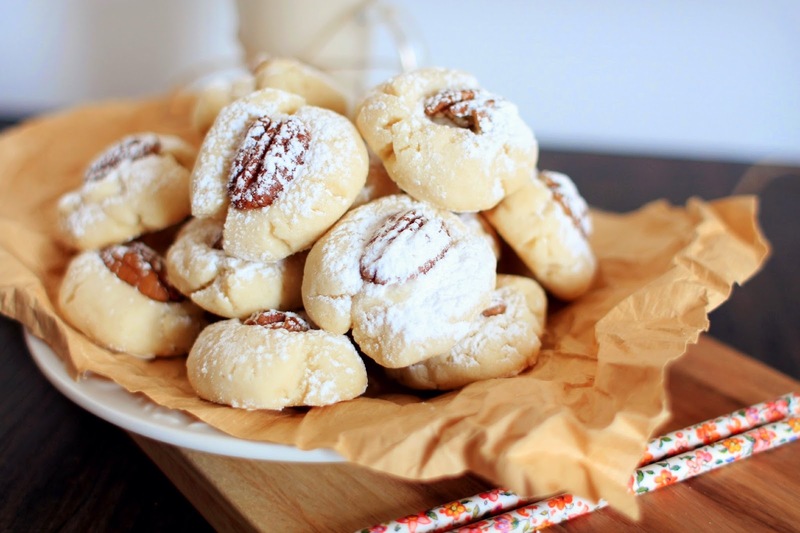 Today I am sharing a treat I baked for Eid called Ghoreyeba (whar-ay-ibb-ah) cookies that are traditional in the Middle East especially for Eid! There is nothing I have in my mental database of cookies that compares to these. 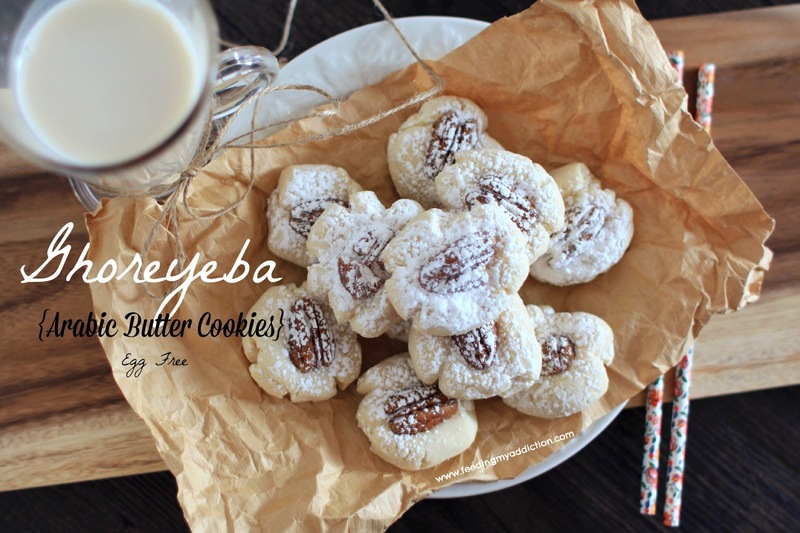 Ghoreyeba are a very delicate cookie that melt in your mouth. They are so incredible smooth and soft with a lingering aftertaste that soothes the soul. They are not hard or crunchy, they are firm enough to move around without breaking but that centre? Oh lawd, you better prepare yourself for the velvet smooth buttery texture! 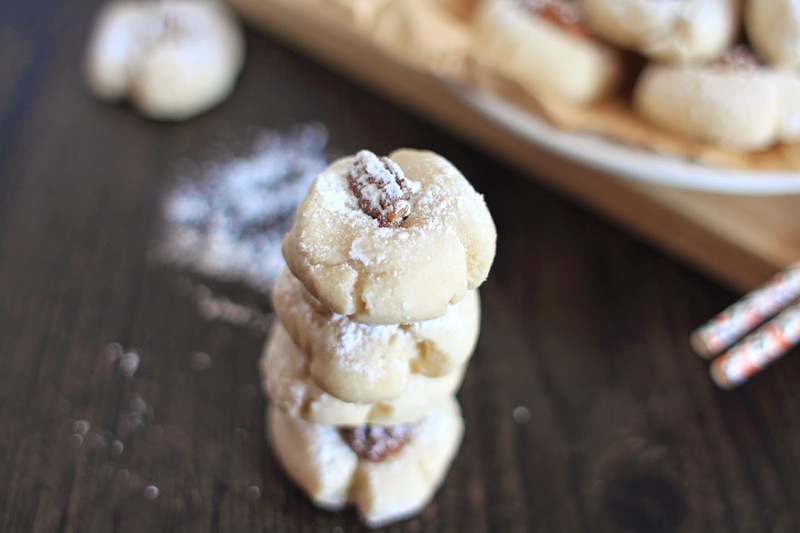 These are made without eggs and only need a few simple ingredients. Traditionally you would use pistachios or almonds on top but I had neither of those on hand...(are you shocked? I am shocked, too!) 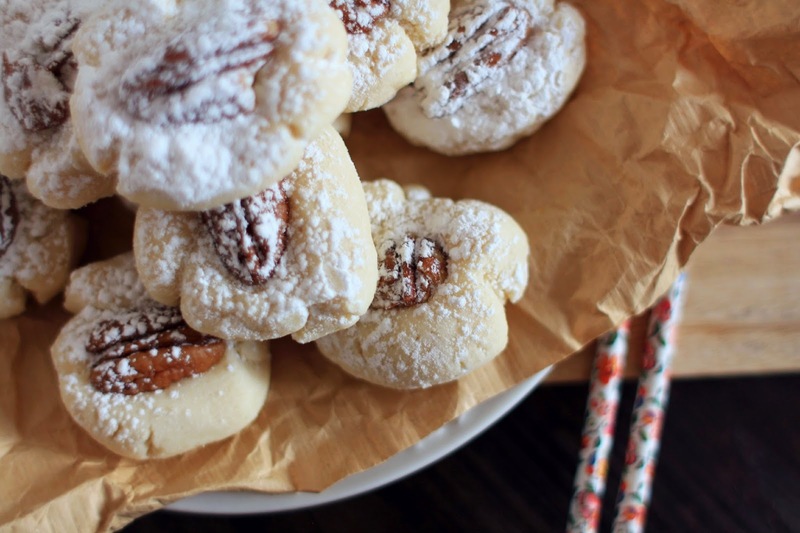 so I used pecans. 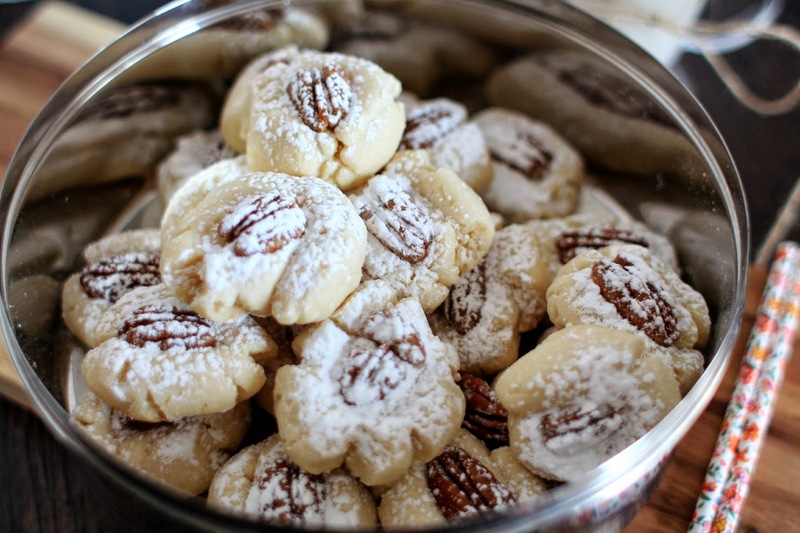 Nothing reminds me more of my family than these cookies. 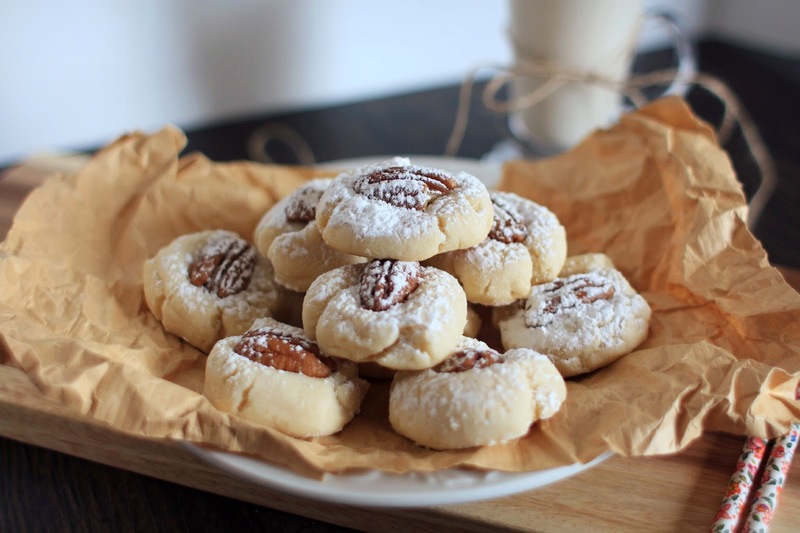 I was beyond thrilled to be able to make these for Eid. And if you have the ingredients handy, which if you are a human person, why wouldn't you? 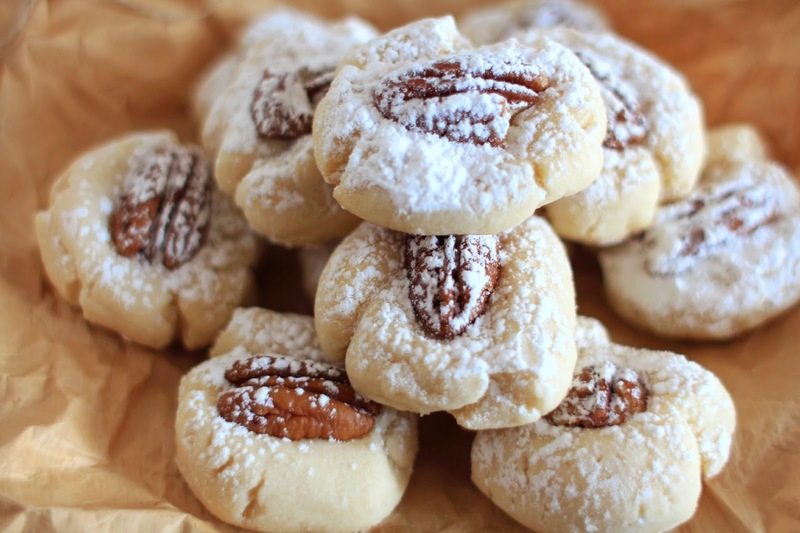 Then there is no logical reason for you not to make these...right now. No. Logical. Reason. GO! I even have the recipe for you! 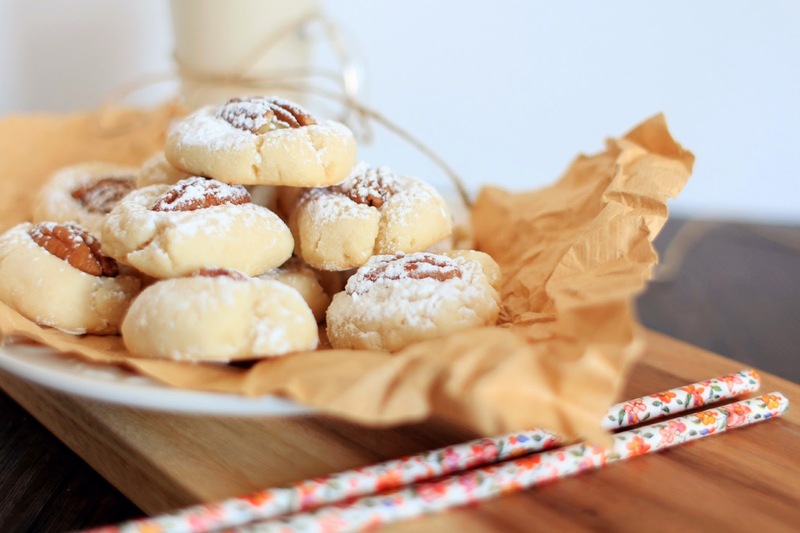 A very simple and straight forward recipe = the most delicate delicious cookies! 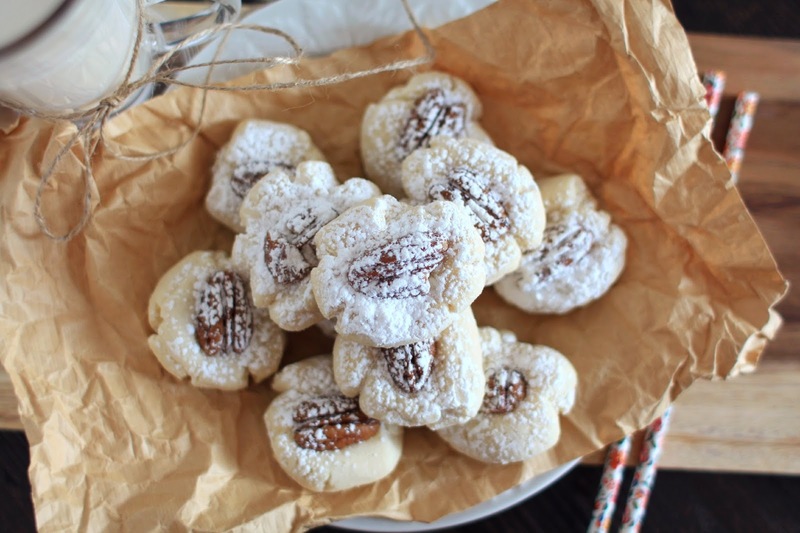 I will bet these will surprise and impress whoever you make them for! 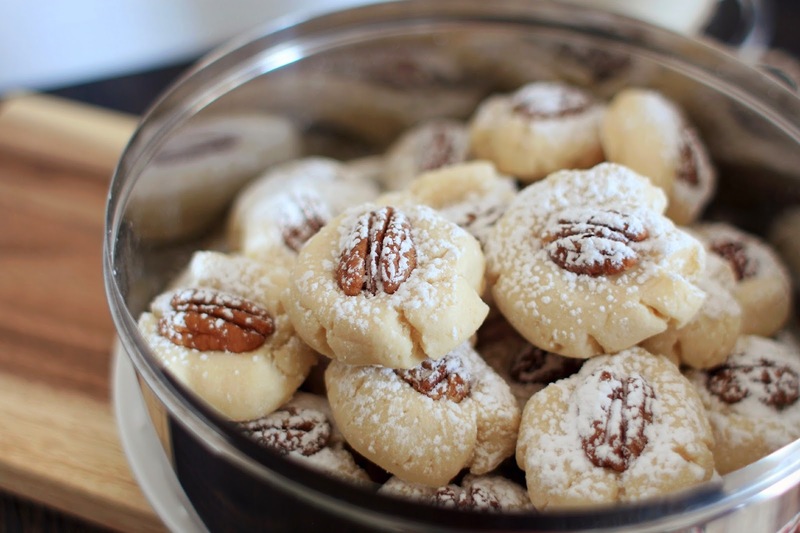 My mom definitely got nostalgic when I made these cookies the few days before Eid. And it really made me happy to be able to recreate something that meant a lot to her. And it meant a lot to me that my mom let me have the entire kitchen for a wild party....for one. Of myself...baking...... Which actually was a lot of fun. YOU DON'T KNOW ME! And here they are in all their naturally lit glory. With these beautiful paper straws I got from this amazing website! I also bought some other fun eco-friendly things. There you have it. 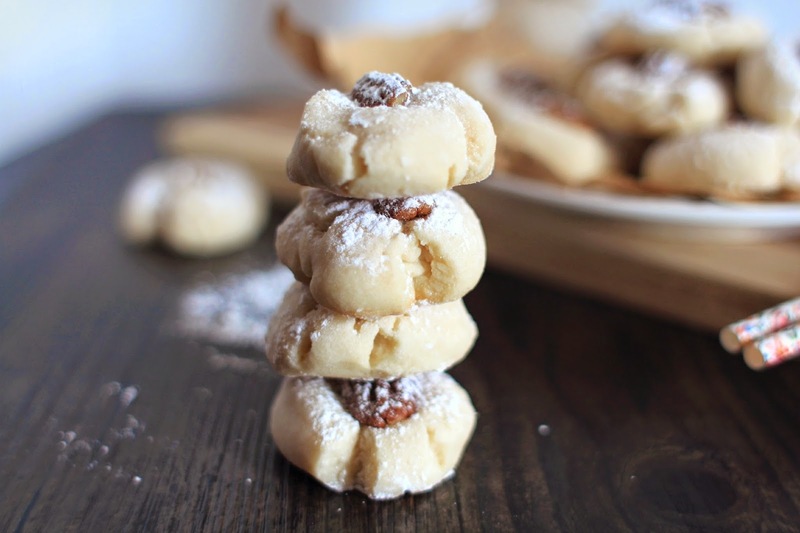 You can officially have a Middle Eastern cookie in your repertoire! Unless you already have several, by which case you need to share them with me! 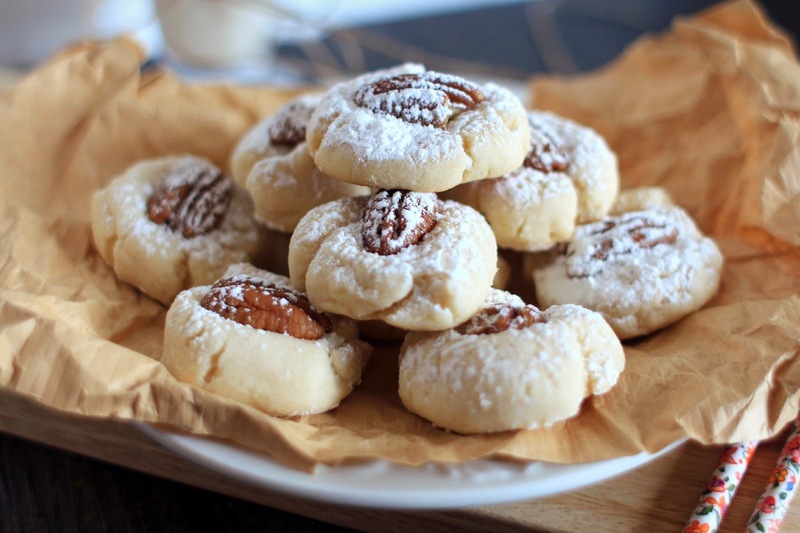 Traditionally these are not dusted with icing sugar -- other Arabic cookies like Kaak are but I thought these looked really beautiful with some icing sugar and they aren't an overly sweet cookie so it worked out well....at least I think so! And Mama B gave them 5 hundred* stars!